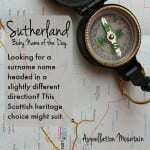 It’s a rare surname name with a Southern sound. 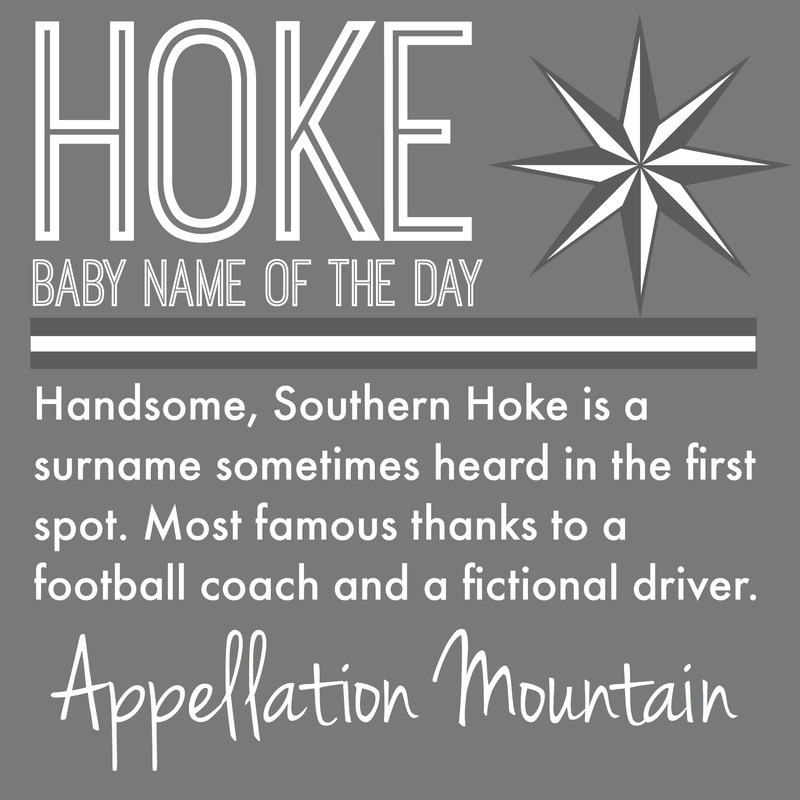 Thanks to Sarah for suggesting Hoke as our Baby Name of the Day. 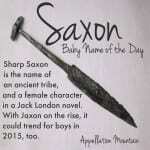 It could come from a German occupational name for a trader. It could be a cousin to Hugh and Hugo, again via German forms. Could it also be a cousin to Hook? 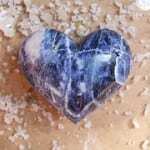 Or maybe the Old Norse Hake, which has the same meaning, and could have been given to someone with a hooked nose? There are a handful of other possibilities, but whatever the origin, it’s clear that Hoke is at home as a surname. Former Michigan football coach Brady Hoke is one notable bearer. There’s also Confederate major general Robert Hoke, who defeated General Grant at Cold Harbour in 1864 and went on to become a railroad executive. Southern families are especially fond of surname names, and I mention the confederate officer because, sure enough, one of his descendants is among those to use Hoke as a first name. Baseball player Hoke Hayden Warner played for the Chicago Cubs and Pittsburgh Pirates in the 1910s. Hoke Smith served as governor of Georgia, a United States Senator, and Secretary of the Interior int he late nineteenth and early twentieth centuries. Smith was descended from Civil War general. Hoke Norris was a journalist in Chicago during the Civil Rights movement. Even though he was the literary editor at the Chicago Sun-Times in the 1960s, Norris covered the events as a news reporter. He also published novels and a collection of essay called We Dissent. The name’s history helps explain why Hoke feels Southern. But here’s the use that cements Hoke’s Southern sensibility: it’s the name of Morgan Freeman’s character in Driving Miss Daisy. Alfred Uhry’s Driving Miss Daisy started out off-Broadway in 1987, with Morgan Freeman in the role of Hoke Coleburn. The play eventually made it to the West End and then Broadway, but you probably know it because of the 1989 award-winning movie adaptation, with Jessica Tandy in the title role. It opens in 1948, with the wealthy, widowed Miss Daisy recovering from a car accident. Her son insists on a driver. Enter Hoke Coleburn, the long-time driver for a local judge. Over twenty-five years, and despite the challenges of their day, the two become fast friends. That’s a handful of men answering to Hoke, none of them young. That tracks with the name’s usage. From the 1900s through the 1960s, at least five boys were given the name most years, with a peak in the 1910s: 19 newborn Hokes in 1910, 18 in 1918, and 15 in both 1915 and 1916. But that’s still pretty rare. 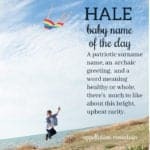 And yet, Hoke has a strong sound and fits right in with lots of single-syllable names for boys. With the rise of short, sharp boy names, Hoke might wear well in 2015. What do you think of Hoke? Great short, Southern name, or too close to the silly slang words?